Thank you for taking time out of your day and deciding to read my poem. Thank you for all the great feedback. Thank you very for reading my poem and I am very happy to see that you were able to connect to it because that was one of my goals while writing this poem. Hopefully in my future post you can connect to them as well. Thank you so much for reading my blog. Thank you for all the positive feedback that you gave me now I will know what to keep going on in my future post. Homelessness: Are Politicians Doing Enough? I really like how you explained a way that we can help solve homelessness. I also like how you explain why some people are homeless because of how house rent is rising up. I really like how your paragraph actually shows how you care about how there alot of homeless people around the bay area and you showed a lot of empathy while you were writing your paragraph. I like how your ideas show how much empathy you have and what we should do to support the homeless community and help them get a new start. It really showed your thinking when you used the graph people the graph shows me how the amount of homelessness is decreasing. I love your poem, I think it really explains the claim your trying to explain, which is violence. Your poem is really good because you rhyme, and that’s a good thing to do when writing poems. A line that stood out to me was,” This is Oakland, and I should be able to just be me, without the fear of a gun, I should be able to have simple fun, and not be on alert and ready to run, not having to fear anyone, I cannot wait until this war is finally done, but I fear it has only begun”. I think those lines are really strong because at the end it’s like wow, such a great ending. Overall you did amazing with your poem, I hope you post more on here, because you are a really great writer. Your poem is so good. I think it’s clear that you are trying to show how Oakland has a lot of violence. I really like your poem because your expressing the violence and I really like how u relate it to the Montagues and Capulets and how society is the capulets and whe are the montagues. I liked how at the end you said “but I fear it only begun” i really like how you ended your poem because it shows that you feel like violence will keep on getting worse going on in the future. That was very strong, and the rhyming and the wording of everything is great! I also feel the same way, that when we’re home, or anywhere, there’s no sure way to say that we’re safe. Keep up the amazing work of your poetry! 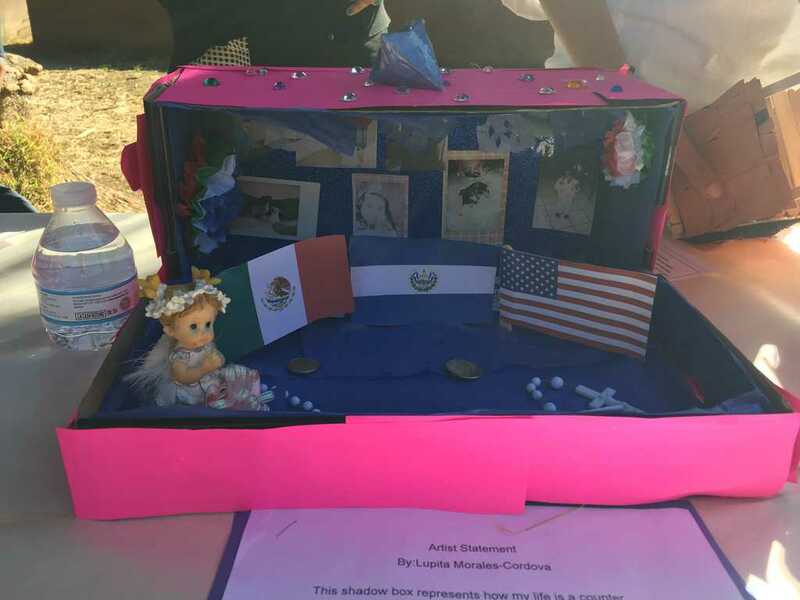 I really like your shadow box I like the fact how you divide your shadow box into a salvadorian, mexican and american. I also really like your pictures that you share in your shadow box. I really related to some of the stereotypical ideals you pointed out that people have against women. I have feel that what you talk is really strong but is really important to people too know about it. Thank you for looking at my shadow box and helping me see what I should do again if a project like this were to rise again. I hope that you truly took something away from my writing. I took a look at your great shabox box and it is beautiful and empowering. 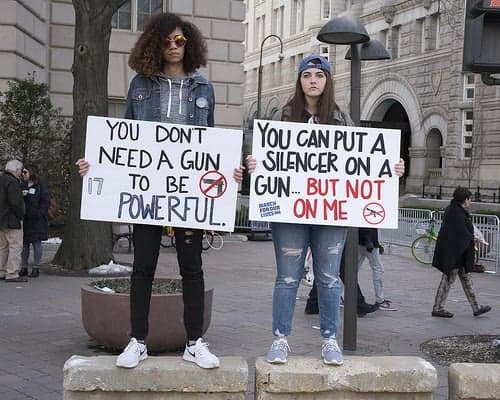 You are a very powerful and moving person. Once again, thank you for leaving me a comment and taking a look at my work. Lupita, I enjoyed reading about your shadowbox. You share a very strong image about how you fit in today’s society. Color choices, Images presented, and even using a peso to represent culture is very unique. The message about women empowerment is great, that you can accomplish anything on your own and do not need to impress a man with just looks. It is important to embrace your cultures and not forget about your roots. Continue to stay happy! Your shadow box overall was very telling and I enjoyed the symbolism you used to represent what you believed in. You were able to convey your messages uniquely and show that you shouldn’t judge a book by its cover. I myself am a Mexican American however, when people see me they assume I am from Mexico but when they hear me speak its a different story. The colors you used to represent certain aspects relating to your own life was also terrific because you were able to portray messages without the use of words. Lastly, the topic of religion you brought up really got me thinking because I also identify as catholic. As a person I have a right to change my mind even when my religion disagrees with certain values I have, it is certainly a new perspective for me Lupita. Overall your post was really symbolic, eloquent and thought provoking, keep it up! Lupita by is licensed under a Creative Commons Attribution-ShareAlike 4.0 International License.